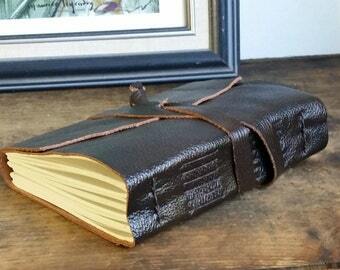 It doesn't matter how many journals I make with this style of binding - I love it! It's just so pretty!! I love the criss-cross pattern on this journal! The thread just pops!! A sextet of minis!!! Soo cute!!! 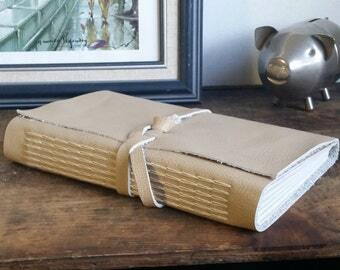 Some vintage book cover journals have been newly bound - and listed in the shop! Who wouldn't want a cute, tiny journal? It's good for tiny secrets. Here is a sampling of the variations of long stitch binding. Each journal is part of listing in my shop! I will be really sad to see this beauty go! 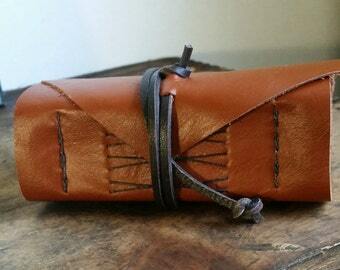 I absolutely LOVE the look of this twist addition to the long stitch binding method!